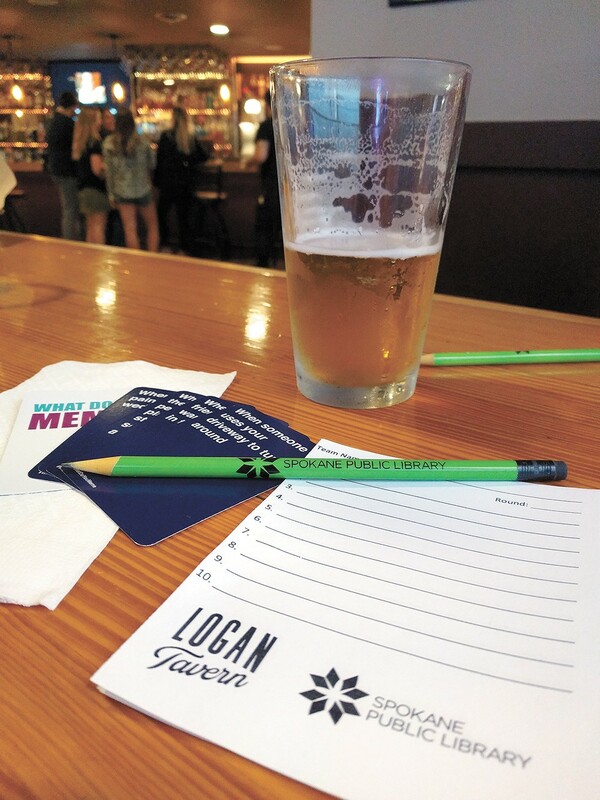 Don't forget your library card when you head to Monday night trivia at the Logan Tavern. You won't need it to check out books, but your team can get a bonus point for having one. Hosted by a librarian from Spokane Public Library, the recently launched, weekly event is an innovative collaboration that brings the knowledge-seeking services of the library out of the stacks and into a nontraditional environment. And if you don't already have a card to check out books, movies and more, don't worry — you'll be able to sign up for one as you learn, between rounds, about the many modern services the library offers. "The library is all about access to information and presenting that information in a fun and engaging way, and trivia seemed like a natural extension of that," says Kathryn Illback, trivia host and customer experience manager for Spokane Public Library. Since the series began earlier this summer, students from nearby Gonzaga University, along with residents of the area, have been turning out to test their knowledge of popular TV shows, mythology, local landmarks and more. The mixed demographic has challenged Illback to come up with questions that cater to a broad audience. "You don't want anyone to feel dumb, you want it to feel fun and for people to feel confident going in," Illback says. To keep things moving fast, questions are displayed on TVs throughout the bar. Rounds are broken up by fun tie-breaker games led by jovial Logan Tavern co-owner Nehemiah Zilar. Another bonus competition is a continuous game of What Do You Meme?, a photo-captioning party game. The bar also serves $5 food specials and discounted shots for library card holders before the final round. The original print version of this article was headlined "Test yo'self at Spokane Public Library's new pub trivia night"